The Forum Floor Globe from Replogle features a sleek, three-column metal base that suits any decor. 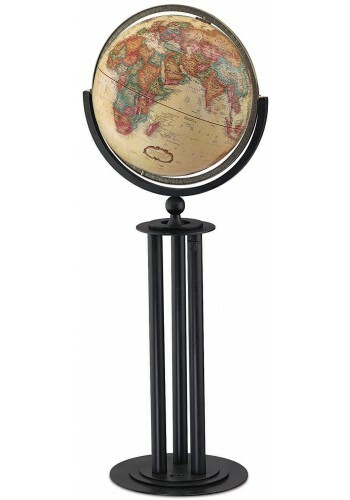 The antique brass-plated full meridian give the globe a distinguished appearance. Colorful land masses and off-white oceans are complemented by an antique finish. The Forum Floor Globe is backed by a one-year warranty.